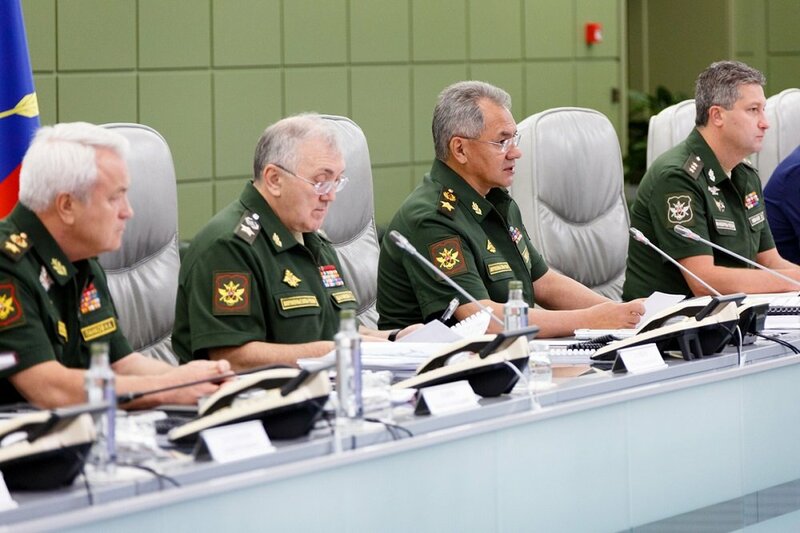 MOSCOW, the Russian Federation, (BulgarianMilitary.com) – Today (2 November), the General of the Army Sergei Shoigu chaired another Russian Defence Ministry teleconference, held with the Armed Forces’ leadership in the National Centre for State Defence Control, learned BulgarianMilitary.com. Considering the fact that the Russian Armed Forces’ training year was completed on October 31, the topics of today’s conference were mainly about the results shown in the past exercises. At the opening of the session, Sergei Shoigu summed up the preliminary results, by saying that the level of field, air and sea training had increased. Staying on the topic, the participants in the teleconference discussed and the results of the first large-scale military exercise “Ocean Shield 2018”, which took place in the distant Mediterranean Sea, in early September. The attendees also held talks on the implementation of the Angara heavy-class missile complex project and the development of Il-76MD-90A heavy military transport aircraft as well as a modern tanker airplane based on it. According to the words of Sergei Shoigu, the research and development work is underway and the state trials of military transport aviation will soon be completed. He also stated that the tanker airplane’s trial model is set to be developed in first quarter of 2019. During the teleconference, Russian Defence Minister placed emphasis on the establishment of “military infrastructure, affecting the combat power of the Armed Forces, primarily nuclear deterrence forces.” He also spoke about the Era military innovative technopolis creation, which first stage of construction will soon be completed and pointed out that according to him, this month, an off-site meeting of the Defence Ministry Board is scheduled to be held there.